OAK BAY REAL ESTATE IS SIZZLING. This popular bedroom community is always popular with Victoria home buyers. One reason is the University of Victoria is on the Northern border of the District of Oak Bay a popular neighbourhood in Victoria, BC- See Victoria Map. 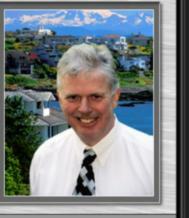 Check Our More about Oak Bay Real Estate on my web site. So far this Year 229 homes have Sold in Oak Bay since January 1, 2015. If you are getting ready to sell your Oak Bay Home soon, I make it easy to find out what your home is worth in the current busy real estate market. I created an easy to use (Go Here) >Oak Bay Current Market Analysis page to help Oak Bay Home owners search online to find out what their homes are worth today. See below an example of the page you'll see when you search online to find out what your home is worth now with my Current Market Analysis program. IMPORTANT. In order for my automated CMA program to give you a Current Market Analysis of your home you'll need to give your accurate home street address, and your complete contact information to receive my Current Market Analysis, i.e. By Telephone, email or regular Mail. Yes I will need to see inside your home.There is no obligation for my complimentary CMA of your Oak Bay residence. Looking for a home in Oak Bay? Currently there 65 Homes For Sale, ranging in price from $529,000 on Foul Bay Rd to $14,999,000 for a waterfront home on Humber road. Currently there are 37 Pending Home Sales in Oak Bay. COME BACK OFTEN as new Oak Bay listings are posted regularly. Sample Picture of my Oak Bay Homes For Sale Search Tool Oak Bay Map. OAK BAY PARK REAL ESTATE IS SIZZLING.